Have you seen all the buzz about the new Bridget Jones' book? Like her original readers, Bridget is older, but still hasn't figured it all out yet. 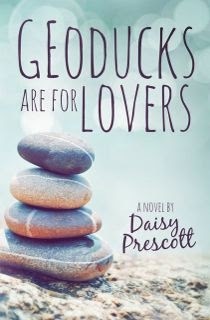 When I set out to write my first novel, Geoducks Are for Lovers, I knew I wanted to tell a love story about characters who were not in their twenties. Or thirties. At the time I had been reading a lot of New Adult books. And while I love stories about falling in love for real for the first time and that heady time of life where you are finally out on your own, I longed to read about characters who were older. Older, but maybe not wiser. Characters who, like me and my friends, have baggage they've collected over the last couple of decades. Whether it be battle scars from failed romances, divorce, illness, careers, aging parents, the demands of kids and work, I wanted to read about characters who personified myself and my friends. So I wrote Geoducks Are for Lovers. It's an ensemble piece in the tradition of The Big Chill or Reality Bites. Each character has their own tale to tell about what it means to love as they cross the big 4-0 mark. Like most groups of friends, the friends in Geoducks are married, divorced, perpetually single, have kids, don't have kids, or don't want kids. See? Baggage. But all this doesn't mean that they can't fall head over heels in love. Falling in love at forty is different than falling at twenty. Not only do you still feel the butterflies, you might also feel the love handles. I love seeing other books about “older characters” coming out. Searching for Moore by Julie Richman and Jane's Melody both feature heroine's over forty. My current WiP is the story of a side character in Geoducks, John Day (the hot neighbor), and continues the theme of falling in love again— baggage and all. This still untitled book will be released this winter. Thanks so much for letting me stop by and visit you today, Suzy. Best of luck with your latest book, Forever Fredless! 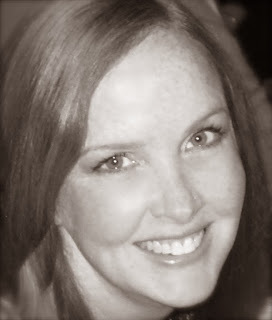 Before writing full time, Daisy Prescott worked in the world of art, auctions, antiques, and home decor. She earned a degree in Art History from Mills College and endured a brief stint as a film theory graduate student at Tisch School of the Arts at NYU. 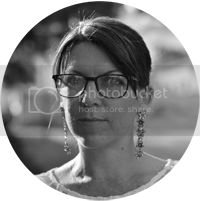 Baker, art educator, antiques dealer, blue ribbon pie-maker, fangirl, freelance writer, gardener, wife, and pet mom are a few of the other titles she’s acquired over the years. Born and raised in California, Daisy currently lives in the Boston suburbs with her husband and their dog, Hubbell, and an imaginary house goat.